A Phoenix passenger’s request for change led to a beating inside the taxi by the conductor which was shared in a video that went viral on social media last week prompting the Phoenix Taxi Association to slam the incident in the harshest terms. 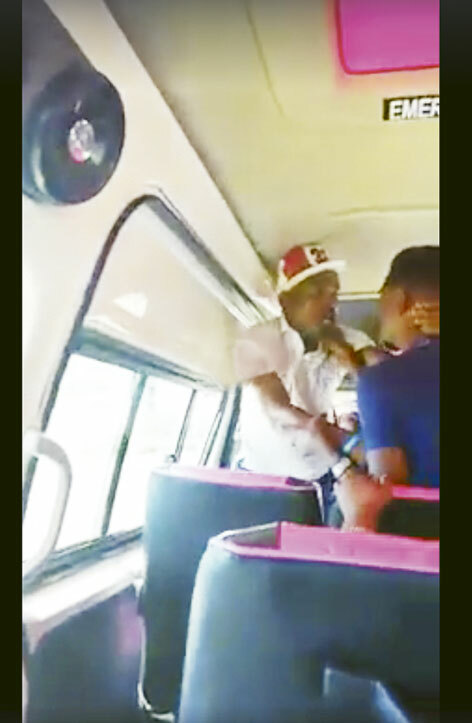 In a statement released by The Phoenix Taxi Association on social media, the entity conveyed their deep regret over the video circulating on Facebook showing a passenger being assaulted by the conductor in the vehicle. “We would like to place on record that this type of behaviour is totally unacceptable and will not be tolerated. The conductor’s name and photograph has been circulated to all owners and drivers with strict instructions that he is not to be employed,” said the Phoenix Taxi Association, vice secretary, Zain Ayob. “The association has also instructed the owner of the vehicle (SlimShady Tours) to make a public apology to the passenger, as well as, provide all necessary support required by the victim including counselling. He is also being urged to lay a criminal charge of assault so that the matter can be escalated and dealt with by the authorities. It is imperative that a clear and strong message is communicated that this abhorrent act should not go unpunished. The Phoenix Taxi Association wishes to reiterate its appreciation to all patrons, on whose support we survive and would like to assure you that our commitment is to continuously strive to improve our all round level of service and conduct. We encourage you to report issues so that we can constructively work towards improving them,” as stated by the chairman and executives of Phoenix Taxi Association.